As the Bush administration winds down, judgment day is nearing. 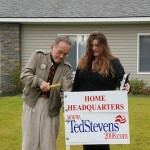 Will Sen. Ted Stevens get a pardon? We shall see. 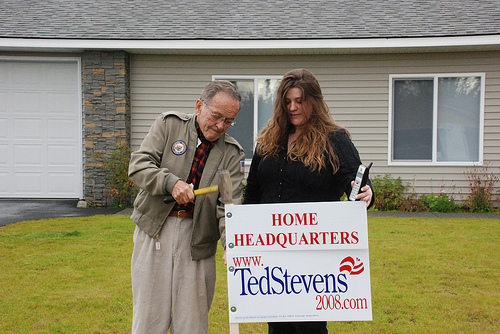 WASHINGTON — Sen. Ted Stevens (R-Alaska) hasn’t yet joined the gallery of notorious felons, small-time crooks and aggrieved innocents seeking pardons from President Bush, but it appears he’ll have the support of some of his soon-to-be-former colleagues if he does. On Oct. 27, a District of Columbia jury convicted Stevens on seven counts of failing to report more than $250,000 in gifts and home renovations he received from 1999 to 2006. Stevens, 85, faces up to 35 years in prison if the conviction stands. Posted: 12/2/08 at 1:23 AM under News Story.